Sunrise and Sunset are the two most beautiful phases of the day that must be looked at. It is pleasure to watch the sunset in different locations of the world and enjoy the romantic moment. You can even click amazing photos during sunset at some of the best locations. Sunset is always been associated with romance and love in most of the cultures. It gives immense pleasure to view the sunset by holding hands of each other and getting lost in the moments. 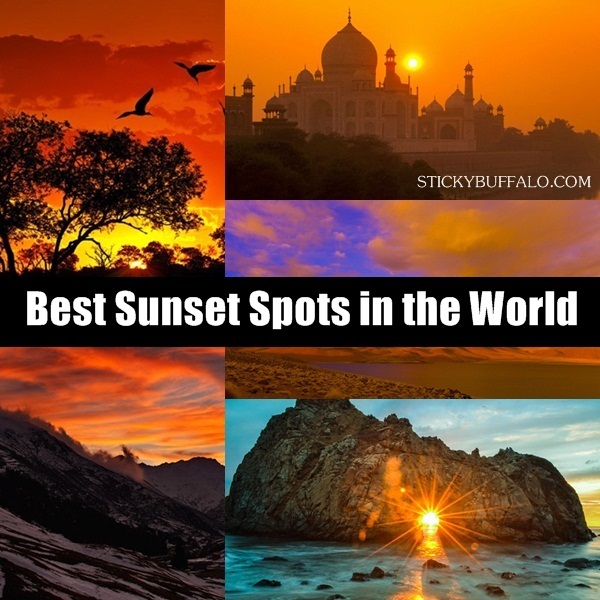 It can even be more beautiful when you are watching the sunset from one of the 10 best sunset spots in the world. 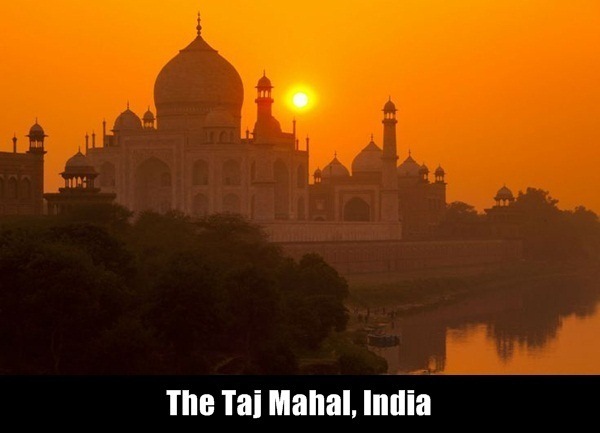 Taj Mahal of India is the first on list of 7 wonders of the world. This beautiful monument is built with white marble and popular for the story of love of Shahjahan and Mumtaz. Shahjahan created this monument in memory of his queen Mumtaz. 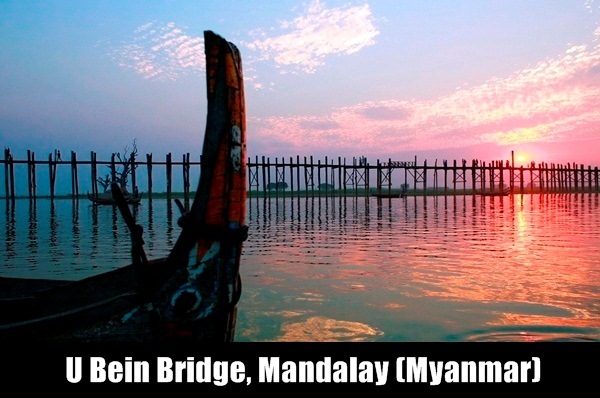 It took 13 years for its construction. It is perfect to view the sunset from here, as the sunrays bend and wind around the white marble dome giving a nice effect. 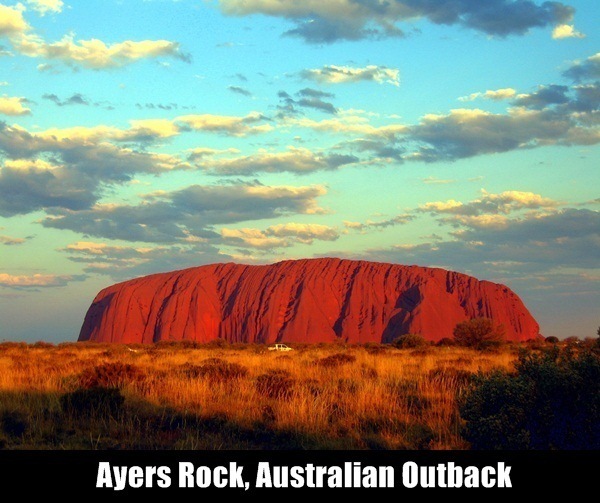 It is also known as rock Uluru and is the largest monolith of the world. The hugeness of this rock makes the clouds look red and orange in colors when the sunrays at sunset are reflected from this stone, to the clouds. The Buddhists monks and the locals relax here during sunsets. Watching the sunset from here is a treat. Chili has about 3700 kilometers of coast touching the Pacific Ocean. 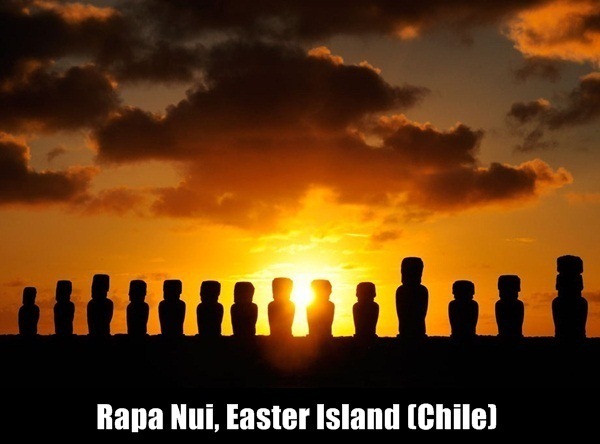 The Rapa Nui statues are popular on the eastern most Polynesian Island. These statues were erected in the sea somewhat between 1400- 1600 AD. It feels a real peace when you see the sunrays falling on the statues in the evening. 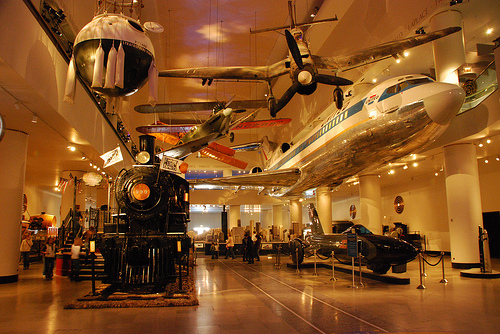 This place is well cherished for wonderful photographic experience. The name of this national reserve in Kenya might have name the word ‘Magnificent’. The bewitching sunset here complements the land with perfection. The best time to enjoy sunset here is from the month of July to October. You can enjoy the Safaris, camps and lodges in the reserve. 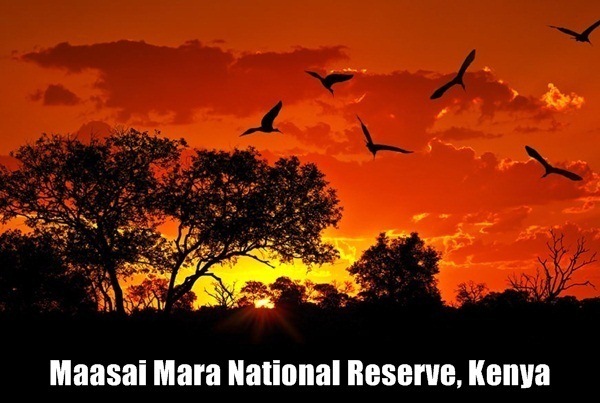 To enjoy the sunset here, you need to take a 45 minutes fly Nairobi to this reserve. But the sunset is full of worth. 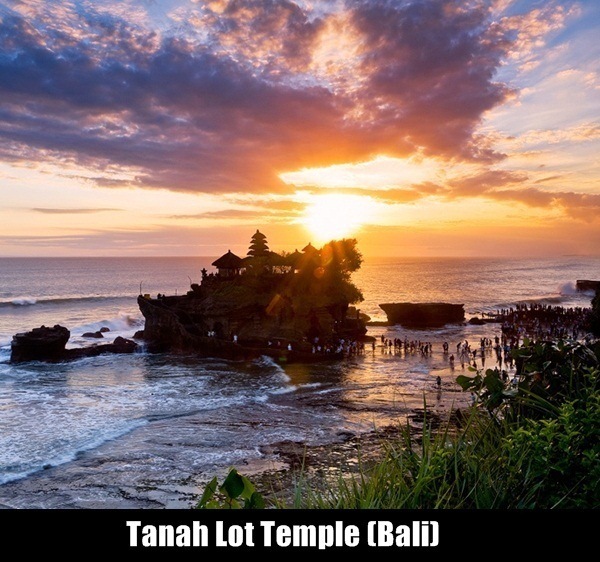 This temple is located off the shores of Bali. It is accessible only through the shallow water bridge through land. This is the ancient temple having the surreal air, especially when the sun sets in the background. It is a nice view to watch the sunset from this wonderful place. 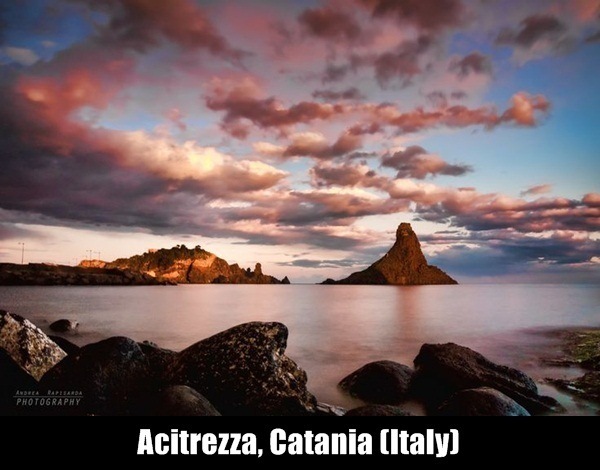 It is the fishing village located on east coast of Sicily. The sunset is really wonderful here. This place is well connected with transport services as many people come here to view the sunset and record dome best moments. 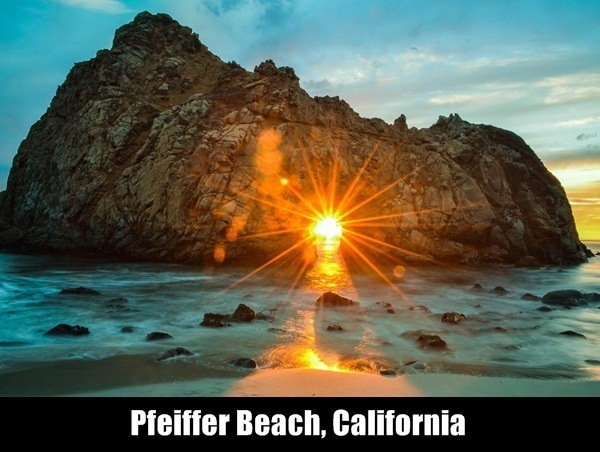 If you visit this beach in California than you might be lucky to see the sunset with sun shining through the hole in a large sandstone that is just off the sea shore. Catch the sun till its last ray. You will be spell bound. It is one of the most popular romantic places of the world to enjoy your holidays. The beautiful sunset here, makes it more romantic. 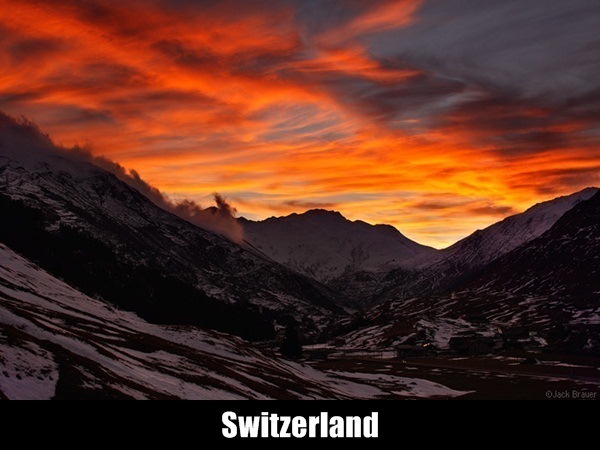 Matterhorn is the sign for Swiss Alps and is the best sight to view sunset in Switzerland. 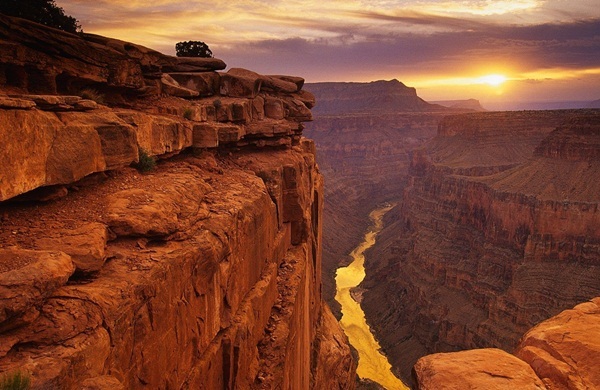 You will require a good energy level to walk through these places and view the perfect sunset that you had ever seen. 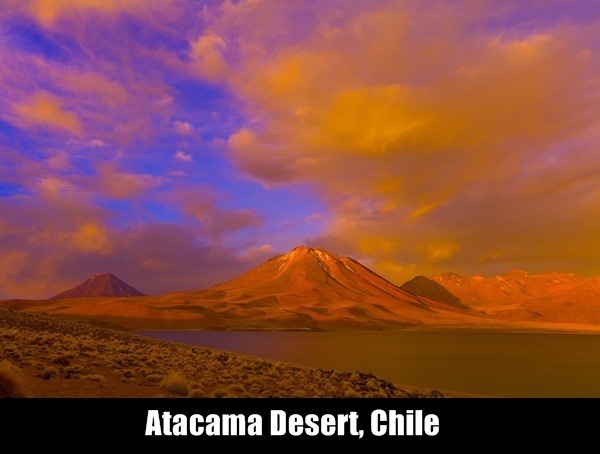 It is one of the driest deserts of the world. This makes most of the plants not able to grow there.